Was a lullaby the first music? Do you ever wonder what music was like before people were able to write it down with an established notation and before we could record it or play it back? What inspired us to sing? What were the moments that were too profound to be expressed just by the spoken word? It is easy to imagine that some of the first songs ever sung were to our children. In fact, many lullabies ask for this divine protection or call angels down to watch over our children. Examples include: All Through the Night, Angels Guard Us, and Nighttime Blessing. 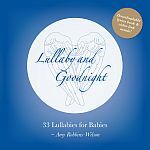 You can find the most popular angel lullabies that we have found on the digital collection All Through The Night . Lyrics don’t have to be complicated. Simply putting a tune to loo-loo-loo can suffice. These baby songs are far more than the words and sound. What matters is the intention of the lullaby song. It is the feeling of closeness and intimacy that is given when we hold our little one. A child can feel our breathing and the rhythm of our heart. When we hold them and sing to them, we are physically and emotionally close and we are teaching them that being close with others is safe. 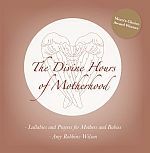 We are also spiritually close because this intimate baby music is an expression of the profound love which spans time. Many of the top 10 songs come from the distant past. They have been sung to generation upon generation of our families. They are part of our individual and cultural subconscious. One of the best known is Brahms Lullaby, which is often called “Lullaby and Goodnight” after the beginning lyrics. Lullaby and goodnight was written in the 1800's as a new mother gift for Mr. Brahms' friend, Bertha Faber, when she had her second child. There are many versions and verses for this song that takes its name from Johannes Brahms’ Wiegenlied: Guten Abend, gute Nacht, Op. 49, No. 4 which was published in 1868. The lyrics of the first verse are from a German folk poem found in a collection called Des Knaben Wunderhorn. For more information, lullaby lyrics and melody, please visit the page dedicated to Brahms Lullaby. Brahms wasn't the only one composing this kind of music. Chopin developed a form of music called a “berceuse” which is very similar to a lullaby. In fact, Brahm’s Lullaby is often considered a berceuse. In the American tradition, Hush Little Baby is one of the earliest recorded songs. It is interesting that one of the USA's first songs is all about buying things for our children to encourage them to be quiet. Sylvia Long offers an alternative in her book of Hush Little Baby. She changes “Papa” to “Mama” and has the mother show the child all the natural wonders they are surrounded by, rather than waiting to have things bought for them. You can see a video review of this book here. To listen to Hush Little Baby, or get the lyrics and more of the history of this lullaby, see the page dedicated to Hush Little Baby. Another early American song is Rock-a bye Baby which was originally inspired by a young man’s watching Native American women hanging their babies in slings on tree branches. This practice let the wind gently rock their babies while they continued their work. To listen to Rock a bye Baby check out this page. To see some alternative Rock-a-bye lyrics by our healing music artist, Amy Robbins-Wilson, without the bough breaking and babies falling, just click here. Some baby lullabies began as nursery rhymes such as Little Boy Blue. Other lullabies began as old folk songs that were adapted to the nursery such as Lavender’s Blue. If you are looking for the perfect baby songs for your family, we hope you will find it here! You can listen to music snippets on most of our baby music pages. Whether you are looking for a song that links you to the past like the one your mother or grandmother sang to you, or you are looking for something more modern like the song Billy Joel wrote for his daughter, you will find it here. There are karaokes of Toora Loora Loora, Twinkle Twinkle Little Star, and Amazing Grace and demonstration videos, too. Only Remember a Word or Two? If you only remember a word or two, try our Search Box. It's the best on the web and it's helped a lot of people. CD includes a link to video mini-course about the importance of a baby's auditory environment and a downloadable lyrics book. get the music as a bonus when you buy Mommy Jingles.